Videos | Here's the Scoop! 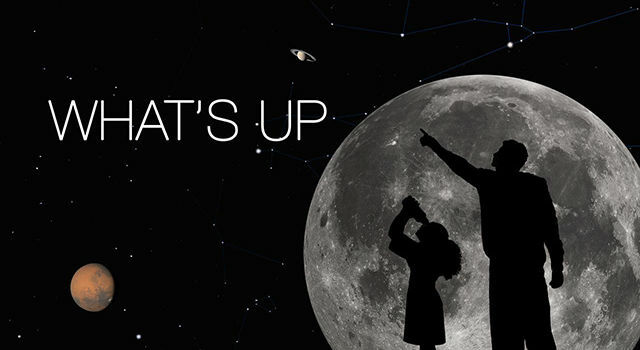 What's Up for October 2012? Hi I'm Noah Warner, tactical up link lead for the Mars Science Laboratory mission and this is your Curiosity rover update. Curiosity is currently at the Rocknest location inside Gale Crater. When we first arrived at Rocknest, we performed a wheel scuff maneuver. This is our rover's version of kicking up dirt with your hiking boot to determine if the Rocknest area was indeed a good first scoop target. The first scoop was successfully performed on Sol 61 and the entire team was excited to see the Mastcam images showing the scoopful of dirt, as well as the video of the vibration activities performed with the turret-mounted tools. This vibration allows the team to level out and remove any excess sample before closing the scoop, and it also provides some insight into the makeup of the soil. Any large particles would tend to float up to the top as the entire sample is vibrated, much the same way you would shake out the marshmallows in your box of Lucky Charms. 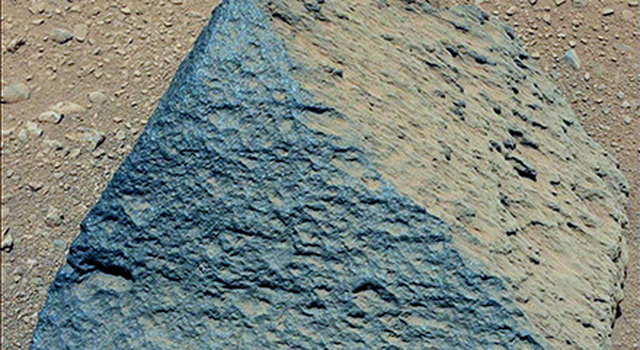 Looking carefully at images, the team noticed a bright object lying on the ground just in front of the rover. We typically call something like this FOD, Foreign Object Debris. The ChemCam remote micro-imager captured a high-resolution image of the object showing that it's most likely a benign piece of plastic or shrink tube left over from a terminated wire. This could've possibly come from the rover or from the descent stage separation event during landing. Curiosity processed the scoop sample through CHIMRA, our labyrinth of passageways at the end of the arm that we use to sieve and portion the soil sample. We did some internal sandblasting by vibrating the sample at different orientations on the turret in order to remove any internal contamination. The team dropped the first scoop off to the left side of the rover, and in upcoming sols,we will make our first attempt to drop off sample to the observation tray and the CheMin instrument. We plan to be at Rocknest for the coming week to complete our scoop activities and then we'll get back on the road to Glenelg, where we'll be looking for our first rock to drill. 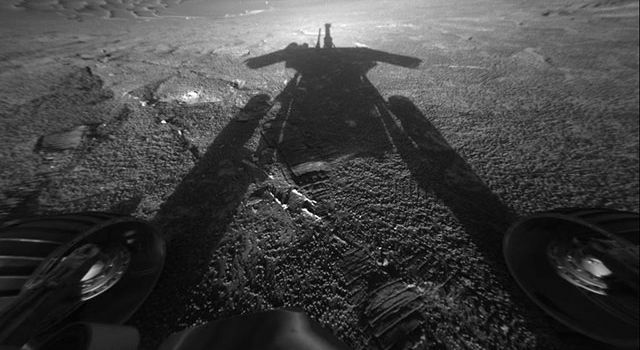 That's your Curiosity rover report, check back often for more updates.